No sooner had Clarissa Dickson Wright eased herself out of my car than I had a new guest. 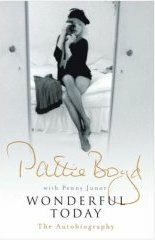 Into the passenger seat like a shot leapt Pattie Boyd and we sped round all day whilst she recounted the highs and lows of the rock chick life, reading her autobiography Wonderful Today, written with the assistance of Penny Junor and published by Headline Review. 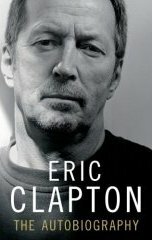 Funnily enough there were remarkable similarities between some aspects of Pattie's life and Clarissa's, plus it was revealed that Eric (Clapton) and Clarissa followed the same Minnesota rehab programme. Pattie also the victim of an unsettling childhood, a degree of abuse and much farming out to boarding schools where she was at her happiest. Both she and Clarissa also found a comforting refuge in cooking and you begin to wonder whether this is about feeding the starving soul as much as providing something for which others will always be grateful and be likely to praise and thank you? Everyone needs to be needed and good cooking is a surefire way of achieving success. Who can tell, but I was fascinated to hear about Pattie's love for and subsequent marriage to Beatle George Harrison whilst stuck in a terrible traffic snarl up in Launceston again (me, not Pattie). Her life at the cutting edge of the 60's social scene, as a model for Honey magazine initially, particularly impressed me. Honey was the first grown up magazine I read after years of Bunty, Judy and June & Schoolfriend so I probably spent a lot of time wondering why I couldn't look like Pattie.Lack of long blonde hair and endless legs come to mind as the first problems to be overcome, quickly followed by an unremarkable facial bone structure. Pattie travelled to India and coaxed The Beatles into the whole meditation thing and some of the finest love songs have been written in tribute to her. Something by George Harrison one of the memorable early ones. 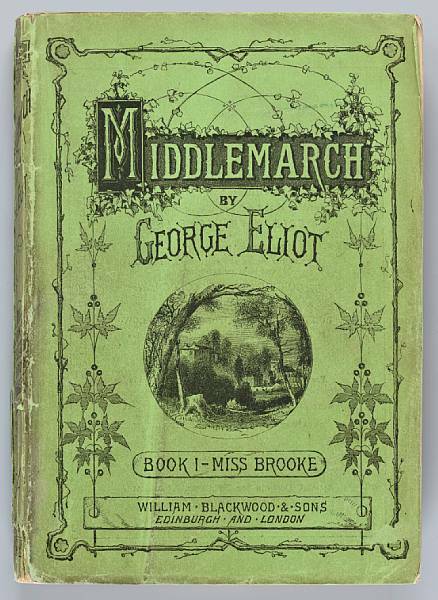 Wooed and courted (well,chased actually) by Eric Clapton whilst still married to George and torn though she was Pattie made the decision to go and live with the man they called God, eventually marrying him and garnering two more tribute songs in the process, Layla and Wonderful Tonight. Pattie's sister meanwhile was living with someone from Fleetwood Mac so the attraction to rock stars obviously a family trait. Sadly, thanks to an excess of everything likely to compromise liver function, it all went pear shaped again and Pattie had to rebuild a life of her own out of the shadow of rock stars. Thankfully she's done it despite seemingly rather miserly divorce settlements from the boys (surely you should be able to claim some of the song royalties if they're about you?) We'd ironed out all the problems of being tall and beautiful and sought after by the rich and famous by the end of the day and Pattie was sounding fulfilled and happy, in fact quite chipper by the time we landed back at base and we'd had a great reminisce through the 1960's. We had a fair old sing-song on the way round, I did that air guitar solo bit off Layla while Pattie changed the gears for me and steered us round the bends, I was probably showing off a bit just to prove that we all have a little of the wild child in us. Heaven knows what will happen when I have Eric in the car soon. If he's going to look at me like that I might just have to sit old Slowhand and his Stratocaster on the back seat of my Ford Fiesta if we're to get around in one piece.